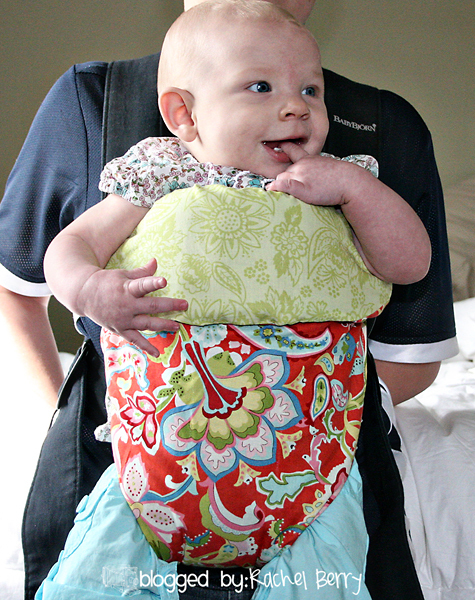 I made this Baby Bjorn Carrier Cover over 2 years ago and I'm still getting emails on how I made it. So needless to say this tutorial is long over due. I had loaned this carrier to someone and now that I have it back here is what I did step by step. Sorry I don't have any sewing pictures but trust me if I could make this then you know it's E.A.S.Y. 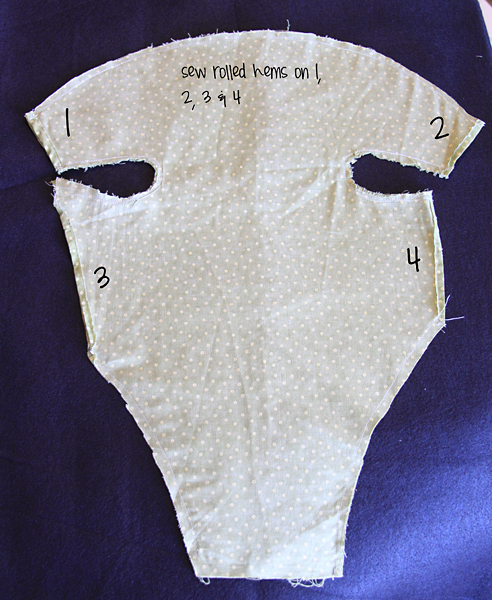 I would recommend using some cheap o' fabric first if you're nervous about sewing one of these together, then you can make your adjustments on it. Let's just call it your test cover. And as luck would have it I still had my test cover and here it is in all it's sad glory. Fabric, fabric pen, sewing machine, scissors, baby carrier. 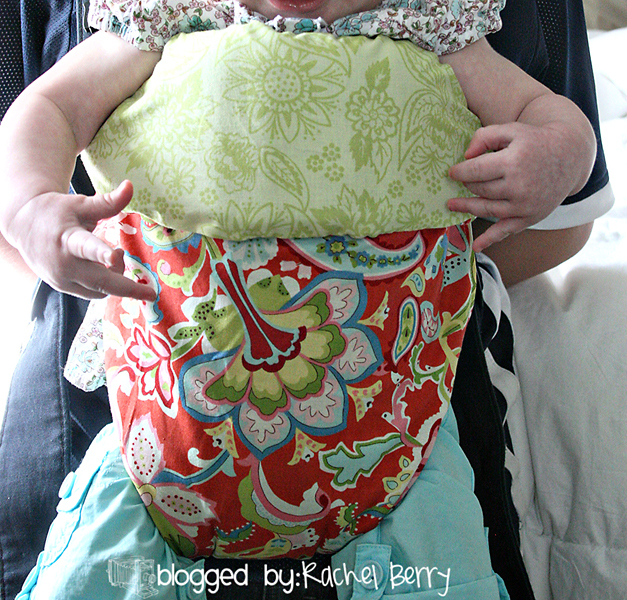 Take straps off baby carrier and lay flat on your fabric. 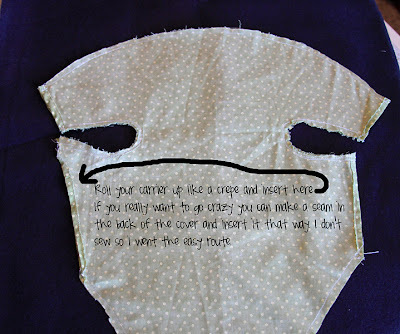 Trace around your carrier with a fabric pen on wrong side of fabric, make sure to leave a 1/2 seam allowance between the carrier and your pen mark. As you can see on my tester I have a little more than 1/2 in some areas. Ignore that fact. 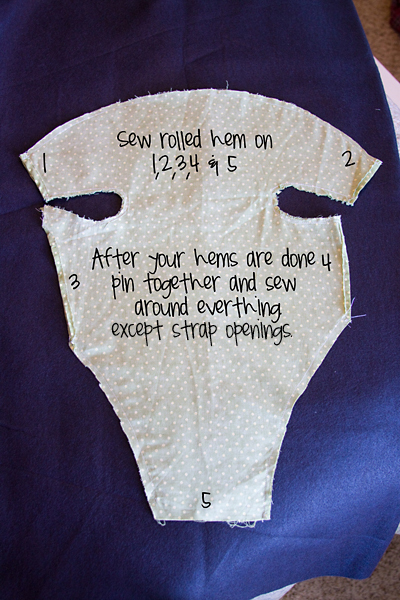 Place your traced fabric on top of your second piece of fabric right sides together then pin & cut your pattern out. Unpin & hem the edges where the straps go through. Pin your fabrics together again making sure you line up all your strap openings. Clip around all corners being careful not to clip your seam. 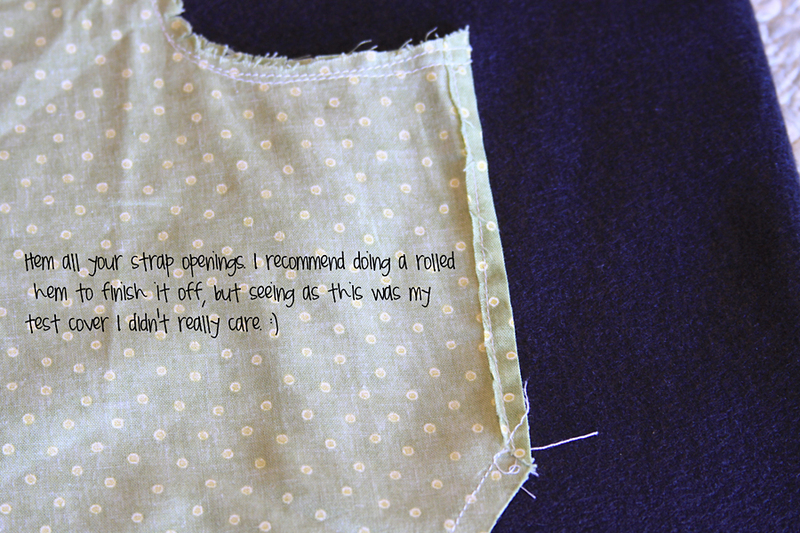 Then I turned it right side out and ironed it. Roll up your carrier like a crepe & stuff the carrier in one of the large side strap openings and adjust your carrier inside to fit. It's a tight fit but it works. 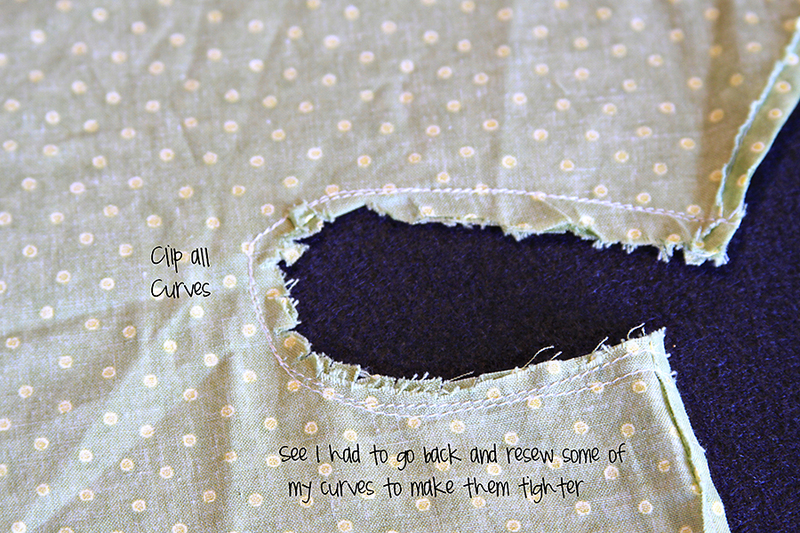 TIP: If you find some of your seams aren't very tight such it's too loose by the straps just take it off and sew around that curve a little more. I had to do it to 2 of mine. I also would recommend sewing a zig-zag stitch around all your edges just to help finish it off and strengthen your seams. 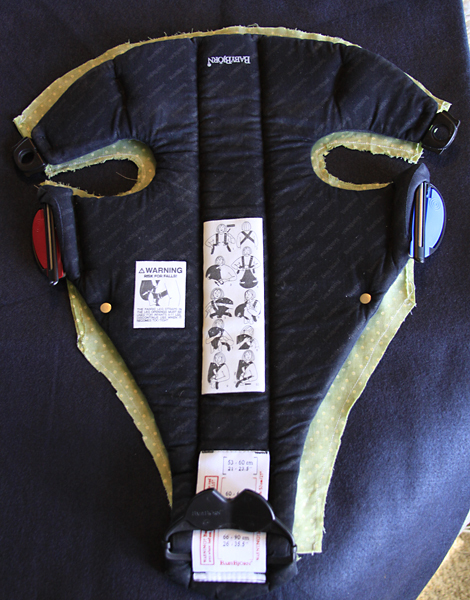 After you have your seams how you like them place carrier back inside and you are good to go! I'm all about slip covers as I have them on my Ikea furniture and having them on this cover was a blessing as you can just remove it and throw it in the wash if it gets dirty. So much better than the plain carrier. I am featuring this at somedaycrafts.blogspot.com. No need for this anymore...but that is creative! Love it! I am actually going to go make one right now. My baby is 7 weeks old, so I will be able to put it to good use! Hey Rachel...would you mind telling me what Font you used on the photos here. 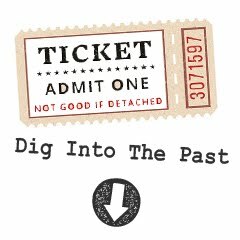 I just love it & am thinking about using it on Sara's Shower invitations. I'm so excited to do this! The bjorn is so boring! Thank you for sharing!! Very cute!! Thanks for sharing!! This is perfectly adorable. Not much of a sewer, but I would love to make something like this for my niece. Thanks for the instructions! Love your blog and LOVE your ideas. I passed on the Versatile Blogger award to you! What a great idea! I'm going to have to try that for my next baby. Our Bjorn has been slobbered to death and would look much better with that cover!